Dzhokhar Tsarnaev’s lawyers say many of the charges are redundant and could sway jurors weighing whether to sentence him to death. BOSTON — A hearing on a request to dismiss some of the charges against the surviving Boston Marathon bombing suspect will be held a year and a day after the deadly blasts. 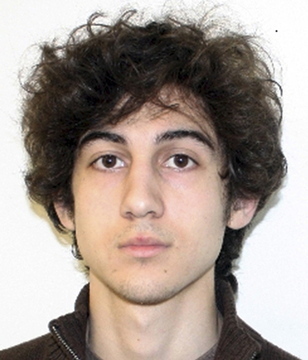 Dzhokhar Tsarnaev also wants a judge to lift special restrictions placed on him while he awaits trial. U.S. District Judge George O’Toole Jr. said in an electronic notice Wednesday that a hearing on those requests will be held on April 16. Tsarnaev has pleaded not guilty to a 30-count indictment charging him in the explosions that killed three people and injured more than 260. His lawyers say many of the charges are redundant and could sway jurors weighing whether to find him guilty and whether to sentence him to death. More than half the charges carry the possibility of the death penalty.